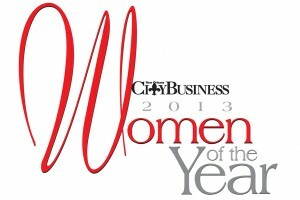 It was amazing to be nominated for inclusion in New Orleans City Business’ list of outstanding women for 2013. It was wonderful to see my name on a list with other accomplished women, all being honored for their contributions to the New Orleans community. It is humbling to be recognized as a businesswoman, mother, lawyer, disc jockey, teacher, volunteer, even as someone who costumes as a 1950’s diner waitress in parades. It’s hard to know what to say when you just live your life and do what you do, trying to be a good person and help others. So I guess I’ll just say thank you.